On paper Sicario is the latest film to explore the violent depths of Mexican drug cartels. And whilst it does this very well I have to admit that when I saw the posters I was somewhat underwhelmed. The plot is one which has popped up in a variety of films, TV series and even documentaries in recent years so hopefully my reluctance and overall lack of interest is understandable. Paperman is Disney’s Oscar Nominated short film/animation. They have only just made it available on their official YouTube channel and it is most certainly worth watching. For those of you too lazy to go to YouTube, don’t worry, I have it below. Ironically enough, the retro, almost hand drawn style of the short animation was achieved through a new animation software package called Meander. This allowed animators to actually draw over CGI enhanced backgrounds. What Disney have managed to create within six minutes and thirty-five seconds is refreshing and offers a new and well needed alternative to the generic slog of modern-day animation out there. But that’s not to say that all animation is terrible and neither am I ignoring the fact that Disney are partly responsible for releasing their own fair share of less that adequate films in recent times. Anyway, rant over now. So watch it below, enjoy and of course let me know what you think. With Bond reaching the ripe ole age of fifty this year, something special was needed to mark the landmark occasion. And taking both the critical acclaim and the box office success into account, it seems that 007 may have thrown the party of the year with Skyfall. But in this stellar year for ‘films longest running franchise’ is this really the best they could come up with? 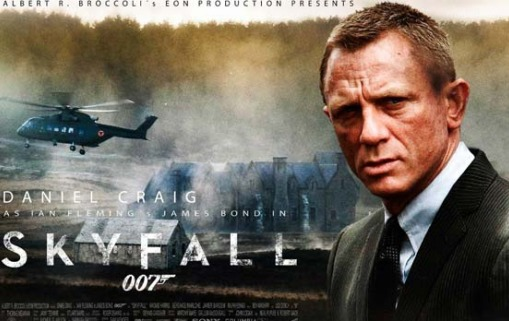 Skyfall opens right in the action with Bond doing his thing, which we all know at this stage involves tearing up some exotic city while shooting at ‘bad guys’. And of course we cannot forget the absurd car chase. Or car/bike/train/mechanical digger, chase. The opening scene looks and feels like a 007 video game and when James Bond, do I really need to warn you about spoilers at this stage, takes a premature tumble I almost expected a ‘Game Over’ logo to appear on screen. Bond may have survived getting shot, falling off a bridge and being dragged under water for the entire duration of Adele’s quiet impressive theme tune. But the film does not get off as lightly and from this point on begins its slow and agonising death. The script, in parts, is unbearable and the dialogue between characters is painfully monotonous. Javier Bardem is a great actor who tries in vain to rescue his bluntly crafted character (Mr Silva) from falling into the obvious Joker-esque role. But unfortunately he is not properly utilized and remains nothing more than a potentially good Bond villain. With Skyfall marking Judi Dench’ seventh outing as the maternal spymaster ‘M’, it was only fair that she would occupy a more central role. She is so involved, that she ends up filling the role of Bond Girl. But of course she is not credited in this role, the honour of which falls to Bérénice Marlohe. Her 30 seconds of fame sees her head used as a coaster and not much else really. But Skyfall does have its redeeming moments. A certain scene with an unmistakable Bond Veteran is the saving grace of the entire film. Ralph Fiennes also does well in his role of ‘M’ in waiting. The cinematography by Roger Deakins is also impressive but seemed over-lavish in parts which may have been down to fact that he was constantly trying to disguise the overall lack of a substantial plot. I really wanted to enjoy this film. But unfortunately I just couldn’t. Skyfall lacked the overall ‘Bond Edge’ and rather than playing out as an epic it was noticeably long and arduously boring. Sam Mendes showed us a glimpse of ‘OAP Bond’ and provides a stark warning that even superheroes can grow old. But as the titles promised ‘Bond Will Be Back’, and with new fresher versions of Q, M and Ms Moneypenny it seems the future of the franchise is all but guaranteed for the next 50 years to come. Francis Ford Coppola initially directed this film with strong anti-war themes as the focal point. This film is very graphic in the portrayal of anti-war imagery and symbolism. However, there seems to be a sway in modern thinking as many people believe that Apocalypse Now glorifies war. This is down to the sensibility of the spectator. I personally saw this film as an anti-war film as it negatively displayed the graphic horror of war. This film like other films provides an access to certain experiences which would not be possible in normal circumstances. This film provides a good indication of the effects of war on the average person. The clip starts with a call to arms for the invading American soldiers. We get a short view of their modern arsenals of weapons. A bugle instrument is used to signal the start of the attack. This refers to the American attacks on the Native Americans. This, in my opinion, is a good use of symbolism as it compares the Vietnam War with the slaughter of the native settlers of America. Next we see the advancing American helicopters. This is contrasted with shots of a peaceful Vietnamese village. This gives the spectator a sense of the violence about to take place. The musical score, Wagner’s symphony, provides a sense of fear but also depicts a link to Nazi Germany. I feel that this is an almost sarcastic indication of American National Socialism, which would greatly compare to the ideals of the Nazis. Coppola shows to great effect that this is a war of two contrasting ideologies. The brutality of war is greatly depicted in this film. Firstly, the obsolete equipment used by the Vietnamese shows the injustice of war. Also the painful groan of the injured soldier greatly impacts the violence and horror of war. I feel that this is a very effective anti-war protest. Good night and good luck is an interesting film which deals with the advent of broadcast television during the “Golden Age”. The film deals with the plight of Edward Murrow in his quest to bring down the fear mongering senator McCarthy. The film is based in the 1950’s during the Cold War. During this period Communism was seen as a great threat to the American Capitalist state. An interesting point which I drew from this film was that Communism is used as a broad stroke statement to convict and stigmatize anyone who challenges the state. By this I mean that anyone who did not conform to the ruling of the current draconian government of the time was marked as an “Un-American” pariah. Anything un-American in this film is seen as being Communist. Communism is a universal template to quash dissent and those who spread it. The basic message which I read from the narrative of this film was, Conform or be stigmatised. There are many musical inserts throughout the film. The lyrics tied in with the overall narrative of the film. Although, in saying that, I found these inserts to be quiet annoying and unpleasant to listen to. But this in its own way did well to strengthen the message conveyed in the musical pieces. As a listener I found the songs to be upfront and bombarding with the messages and themes being hard to escape. Another point which I drew from the film was that the persecution of the Communists bore strong resemblance to the witch burning of the 16th century. Strangely enough there seems to be a link between factual hard hitting journalism and Communism. And as Communists are condemned so are factual television programmes. I thought this was a strange link as there are no real connections between Murrow CBS or Communism. The film opens and closes on the same stark warning from Murrow. He warns that the “Golden Age” of television is coming to an end at the hands of popular entertainment television. When he makes this warning he is addressing a room full of television executives who are fuelled by profits at a black tie event. It is obvious that Murrow’s warning has gone unheeded. Television, especially in America, has truly dwindled in quality and now in my opinion the television is not much more than a means to broadcast advertisements in millions of homes. It is difficult to say if advertisements are the filler for television programs or if the programs are indeed the filler for advertisements. I was a bit late seeing this film, well over a year late to be honest. So, after seeing the success of this film at the Oscars and hearing great reviews from friends and professional critics alike, I was expecting a masterpiece. But this was not the case. Inception let me down on multiple levels for many reasons which ill outline shortly. Before I go any further I would like to say that Inception is a very good film, with some great action shots and impressive special effects. Also the acting was impeccable with a great role played Leonardo DiCaprio. So then why did this film let me down. Firstly, I was expecting more than just an action film. 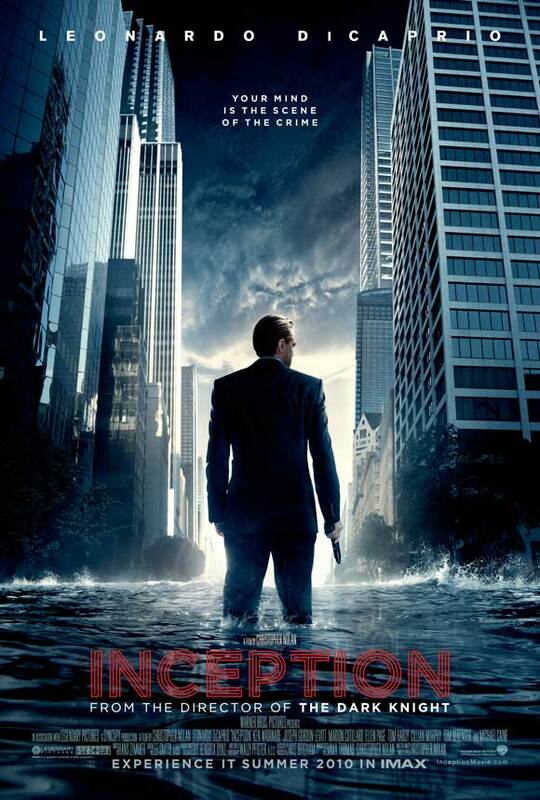 I was hoping that Inception would be able to cleverly use the action sequences to compliment the imaginative plot. However this was not the case. The plot actually acted as a medium for the action and thus the impressive narrative was hidden behind a wall of special effects. This in turn, transformed Inception into ‘The day after tomorrow’ with much better acting, no offence to Dennis Quaid. The concept of a dream within a dream was very interesting and was expertly carried out from start to end. The only problem I had with this was the diversity of shot locations used to denote the different levels of a dream. I felt that the director, Christopher Nolan, was not able to mark the different dream levels more subtlety and this is why such contrasting locations were used. Also at one point, on the snow-covered mountain, the film became almost James Bond like with the central characters being pursued by a gang of identical henchmen on snowmobile’s. I personally rate Nolan highly as a director. His success with the rebranding of the batman franchise along with the highly impressive ‘The Prestige’ are powerful accolades which support his status as a top director. However after watching Inception I began to question the ‘greatness’ of Christopher Nolan. It was quiet clear to me that Inception is Nolan’s Matrix. By this I mean that Inception has a large amount of borrowed ideology and bares a strong resemblance to ‘The Matrix’. I am not insinuating that Nolan copied the matrix. The point that I am making is that this is Nolan’s attempt at creating a film as mind-blowing as The Matrix. And prehaps this is why I am disappointed with Inception. Although the ideas of inception are interesting and encourage some thought, they are not as captivating or perspective altering as The Matrix. To conclude, Inception is an interesting film which is quiet enjoyable to watch, with very impressive visuals and great acting. The plot and the concept is fascinating but the overall film does not deliver or live up to its full potential.